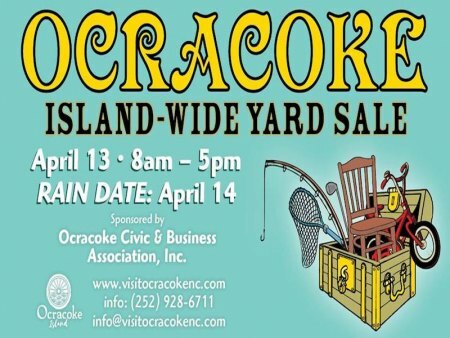 The Ocracoke Island-Wide Yard Sale is April 13th! The yard sales will begin at 8am; rain date is April 14th. Find your treasure at Ocracoke's second island-wide Yard Sale! If you can't make it to this one, plan ahead! The next island-wide yard sale event is already scheduled for Saturday, September 21, 2019.